New subdivision and option to build by Airhart Construction. Stafford Place offers a town home life-style without attached walls. The HOA provides the snow shoveling and landscape maintenance. 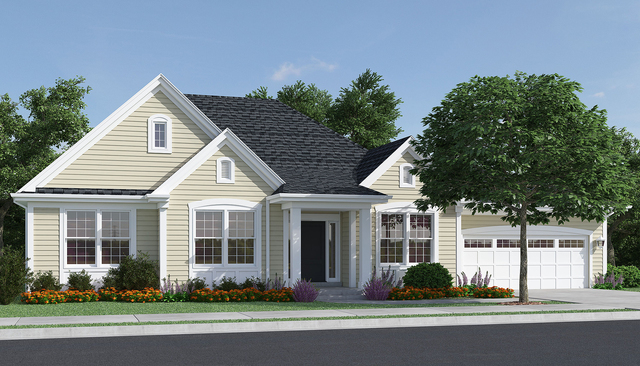 Stafford Place is located in the heart of Warrenville with its small town warmth. Walk to library, Park recreation center, Prairie Path, river and more. The Saint James Ranch delivers ample amenities with an open and comfortable floor plan. Many features including a Full basement, 2x6 walls, Luxury master bath with walk-in shower, Walk-in closet, Custom kitchen with an extra long island, wood floors, main floor laundry, Nu-wool insulation, Pella low-e windows, GAF architectural grade shingles, Hardieplank siding, 95% high efficiency furnace and A/C, Energy seal, Deck, Deluxe landscaping and much more. Custom changes and more floor plan options are available.